One breakout “Laughing Gor” role had propelled Michael Tse (謝天華) to instant stardom. The 45-year-old Michael had been struggling to make a name for himself since he first debuted as a member of the boy band, Wind Fire Sea (風火海), in 1992. 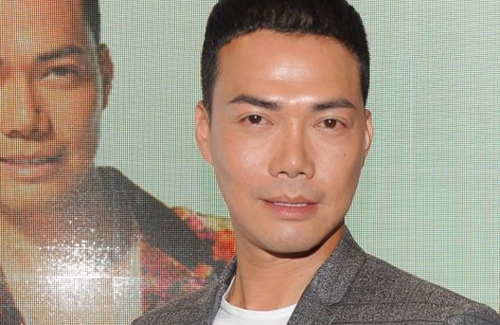 Although he has achieved mild fame in films – all due to the success of 1996’s Young and Dangerous <古惑仔> – Michael’s career stayed low on the radar for the next several years after Wind Fire Sea’s disbandment in the 1990s. Although Michael peaked again after starring in 2002’s award-winning sitcom,Virtues of Harmony <皆大歡喜>, Michael did not truly become a true money-making machine until after 2009’s E.U. <學警狙擊>, in which he portrayed the undercover cop, Laughing Gor. Although Michael is currently busy with promoting Sergeant Tabloid <女警愛作戰> and the filming of Sniper Standoff <神槍狙擊2013>, the singer-actor still managed to find time to travel to mainland China to perform in bars. According to East Week, Michael earns approximately 150,000 RMB per stage performance, which would last no more than 20 minutes at a time. Last month, Michael performed on ten stages, earning 1.5 million RMB in total. East Week recently followed Michael to a midnight performance at a pub in Huizhou, Guangdong. Michael opened the show with a performance of “Friends for Life” <友情歲月>, a single from the soundtrack of Young and Dangerous. A bodyguard stayed by Michael’s side throughout the entire performance to prevent drunken fans from dragging Michael offstage. The performance ended in less than 20 minutes, and Michael earned another 150,000 RMB to his pocket. He immediately left for Hong Kong after the performance. With his newfound wealth, Michael and wife Tina, who have been living together in the high-end residential area of Happy Valley for many years, has recently moved to a luxury condo in Ho Man Tin’s Wylie Court. Same here. I too have a secret crush on him. And he danced so well too. That also adds to the attraction. Michael can sing, dance and act. It’s just patience on his part, to wait for the right series to come and I’m sure he’ll find the success he’s been waiting for. That guy works crazy hard and he is only just lately getting recognized for it. Grats to him and glad his hard work and perseverance has paid off. While his acting can sometimes be inconsistent, he is still very charismatic and puts in the effort. I hope he can break free of TVB and get paid decently for his work in the future. Michael is so talented and I am so proud of him for being where he is today. dont want to offend any fans tho, but i always found him and kevin cheng a bit similar looking, maybe the thick lips?